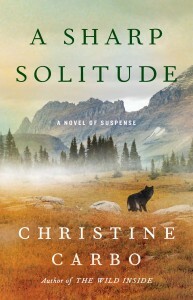 A Sharp Solitude is Christine Carbo’s latest novel in an award-winning series which “paints a moving picture of complex, flawed people fighting to make their way in a wilderness where little is black or white” (Publishers Weekly). In the darkening days of autumn, a woman’s body is found in the isolated terrain near Glacier National Park. The victim was a journalist who had been interviewing reclusive researcher Reeve Landon about his work for a program that trains dogs to track scientific data. Now Reeve is the prime suspect. Without friends or family to turn to, Reeve seeks help from his ex, FBI agent, Ali Paige, the mother of his young daughter. 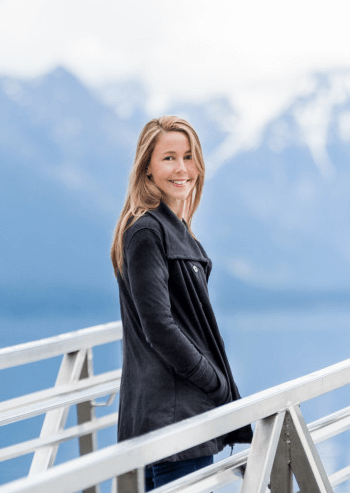 Though Ali is not assigned the case, she is deeply invested, driven by the idea that if she can find out what really happened, she might save Emily from the trauma of losing her father. Meanwhile, Reeve feels reckless and panicked. Assuming the worst possible outcome, he flees into the woods with his dog. As the evidence mounts against him, and Reeve’s resources dwindle, Ali isn’t sure how far she’ll go to find answers – and what if the truth is more than she can handle? Propulsive and suspenseful, evoking the stark, breathtaking beauty of Glacier National Park, A Sharp Solitude shows that we can never outrun our demons, even in the vast, indomitable wild. “Commanding and exquisitely rugged, Christine Carbo’s A SHARP SOLITUDE delivers a compelling portrait of two damaged souls running from the past. Brilliantly written in confident, flowing prose, A SHARP SOLITUDE is a paean to the unforgiving landscape of the Montana wilderness, lovingly painted in all its beautiful and savage glory. Carbo’s finest novel yet.” – James W. Ziskin, author of the Anthony- and Macavity-award winning Ellie Stone mystery series. A Sharp Solitude is a finalist for the 2018 Barry Award.